Before he heads to the 68th edition of the prestigious Cannes Film Festival in the French Riviera, where his fourth production, Masaan (co-produced along with Macassar Productions, Phantom Films, Sikhya Entertainment, Arte France Cinema and Pathé Productions), will be screened in the Un Certain Regard section, Manish Mundra is taking a two-week long detoxifying break at an Ayurveda Center in Bangalore, to ring in his 42nd birthday by himself. That’s all it takes for Mundra, the producer of last year’s acclaimed Indian indie, Rajat Kapoor’s Ankhon Dekhi, which was screened as the opening film of the Mosaic International South Asian Film Festival in August, to make a film. 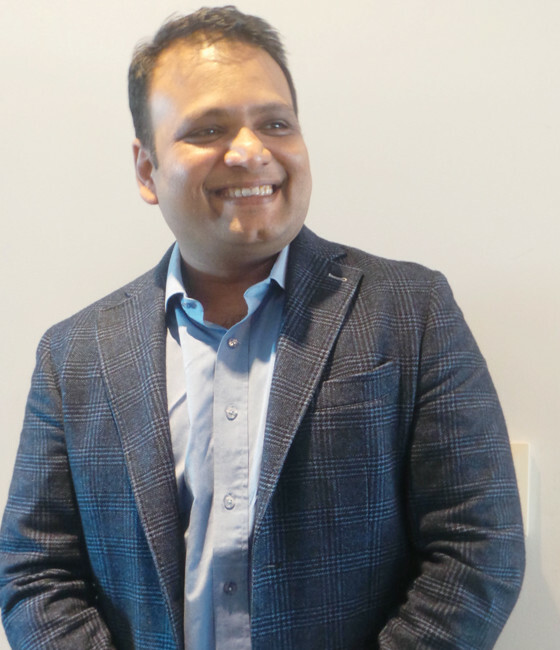 There’s not been a method or formula or returns-based calculation that has led Mundra to wholly fund five completed films so far, and the four other films in development. It’s this remarkable instinct possessed by Mundra, who, till a couple of years ago had no connection with the Indian film industry but led his life as the CEO of a Nigeria-based multi-billion petrochemical company that he built ground-up, which has seen each of the four projects he’s backed be selected and/or win a prize at a major international film festival last year. Before the official selection of Neeraj Ghaywan’s Masaan this year, multi-director anthology X – The Film screened as the opening film of the 2014 South Asian International Film Festival, Prashant Nair’s Umrika won the World Cinema Dramatic Audience Award at the 2015 Sundance Film Festival and Nagesh Kukunoor’s Dhanak won The Grand Prix of the Generation Kplus international Jury for the best feature-length film at the 2015 Berlin International Film Festival. With Ankhon Dekhi, his first production and his foray into the world of films, it took even less than instinct for him to part way with his own income: it took a tweet by Rajat Kapoor. The story is already the stuff of legend among India’s fledgling but strong-willed and gifted indie film community. Acclaimed theater and film actor Kapoor, who had also directed four feature-length films, was looking to finance his fifth film but after doing rounds of various independent producers and studios, was headed nowhere. Letting out his frustration on the social media platform of Twitter, where he had over 130,000 followers at the time of tweeting, Kapoor lashed out against ‘Bollywood’ and said he was putting his script on the backburner and going back to doing theater for a while. Mundra, who was among his followers on Twitter, tweeted back to him saying that he was a fan and that he would like to produce the film. After a brief but rather funny back-and-forth where Kapoor was initially hesitant suspecting some sort of a hoax (Mundra being based out of Nigeria, the country most famous for internet hoaxes, could not have helped), Mundra flew down to Mumbai, signed a six-page agreement at face value, and immediately transferred a chunk of the film’s approximately Rs 9 Crore budget to Kapoor, and went back again, leaving Kapoor to make his film the way he wanted it. From as long ago as he can remember, Mundra has been obsessed with films. Growing up in the era of the potboiler ‘80s cinema led by the likes of Amitabh Bachchan, Shatrughan Sinha and Mithun Chakravarty, as a young boy, he ‘lived movies.’ “Watch a movie on the big screen was the ultimate experience for us at that time,” he fondly reminisces. “Films were like a celebration; the entire family would get together to watch a film and post it, spend the next 6-7 hours in storytelling and discussions around it. So it’s not a mere coincidence that Mundra’s life trajectory has mimicked that of ‘Vijay’. At the time of his birth, Mundra’s father was a successful businessman, but soon lost his money, having taken a few missteps. Growing up in Rajasthan, in a state where he was unable to pay his school fees at times, Mundra decided to take inspiration from ‘Vijay’ and be a ‘somebody’. “I grew up with a patch on my back that I was a ‘poor’ guy,” he recalls. “There was a time when we would struggle for food and I spent sleepless nights crying and wondering why I was poor. But that inspired me to make something of my life. From class 9th, I began earning for my family. In the mornings, I would go to school and in the evenings, I would sell soft drinks from a roadside stall so I could afford the fees. During my graduation, I sold curd for two years and did various other odd jobs too. “But I believe that if you pass through tough times, they should happen in your teens because that teaches you how to survive throughout life and makes you fearless. Since I had nothing to lose, I made very clear and precise plans of what I wanted to do with my life. I wanted to do an MBA when others were doing IPS and IAS so I could become a CEO by 32, so I could earn enough by 40 to leave the business world and join films somehow. That was always the plan. Mundra, who runs a non-profit school in Jodhpur that provides free education and funds for over 250 students every year, is now writing a book based on his life to inspire the youth that “even if you have nothing in your hands but big dreams, you can achieve anything. If you can dream it, you can achieve it.” But before he helps shape the dreams of others, he now has a bigger dream, rather vision, for India’s unstructured independent film scene – to turn it into a self-sustaining, content-driven industry. Since Drishyam is only in its nascent stages, Mundra has also partnered with the renowned Sundance Institute’s Screenwriter’s Lab and invested over a Crore to the ‘Drishyam-Sundance Screenwriters Lab, which will curate scripts and mentor aspiring screenwriters every year, with Mundra picking up the best scripts to produce through his production outfit. The next goal is to open offices in Europe and America, and attract co-producers internationally, not for investments at this stage, but to give the right kind of exposure to these films in the international markets. Mundra also plans to produce films in the Middle East and in Europe, to further establish the brand of Drishyam Films, and to create new channels for exhibition and distribution too, and unite the whole market with India as its base. Having already put his massive vision into action, this year will see the release of all four of Mundra’s upcoming films, with Masaan slated to release in June, following by Dhanak, Umrika and X. There’s also Anu Menon’s Waiting, starring the very same Naseeruddin Shah Mundra speaks so highly of, and four other films in different stages of pre-production. Ask him if his next aim is to work with his idol Bachchan, and Mundra chuckles and wistfully says that it will happen when the right script comes along. “But for now, the next aim is to bring home an Oscar for India. It’s high time,” he smiles.